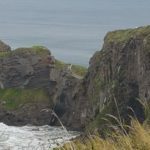 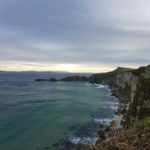 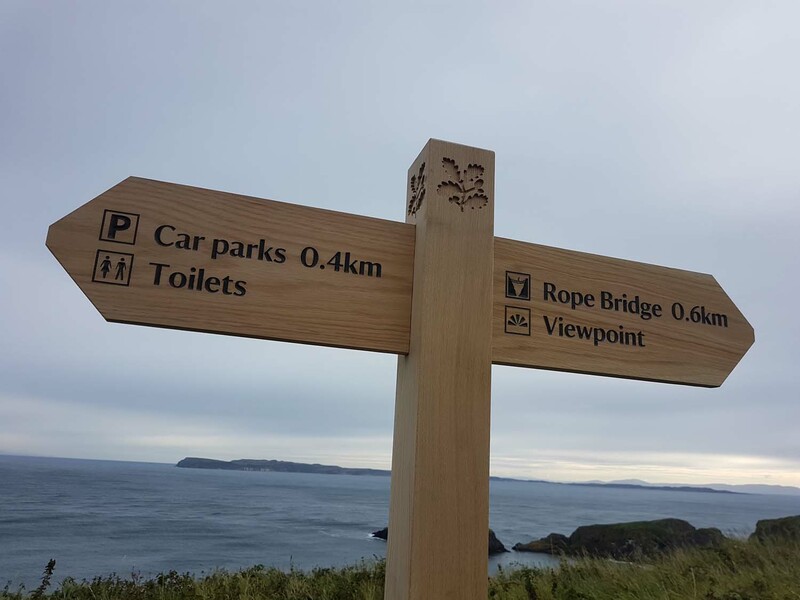 Earlier this year we installed a complete new signage scheme at the world famous Carrick-A-Rede Rope Bridge near Ballintoy on the North Antrim coast. 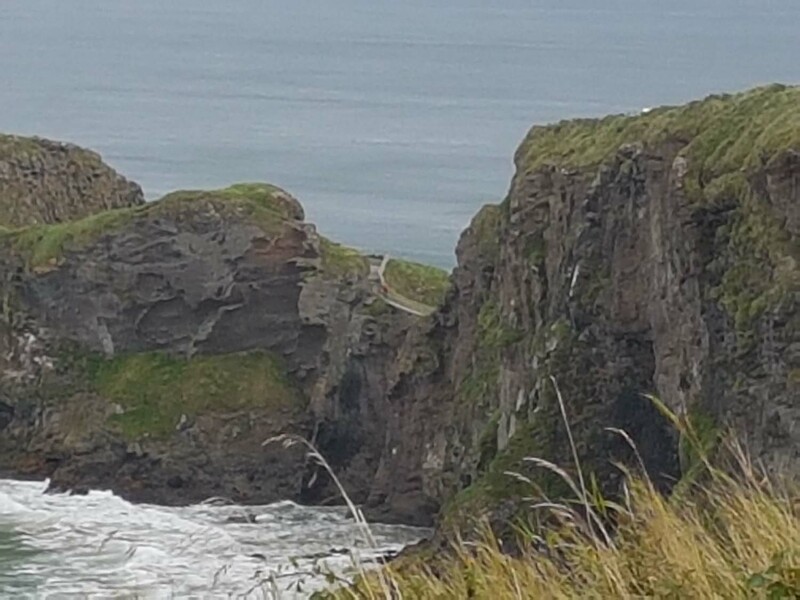 The iconic rope bridge is known worldwide and is an international symbol of tourism in Northern Ireland. 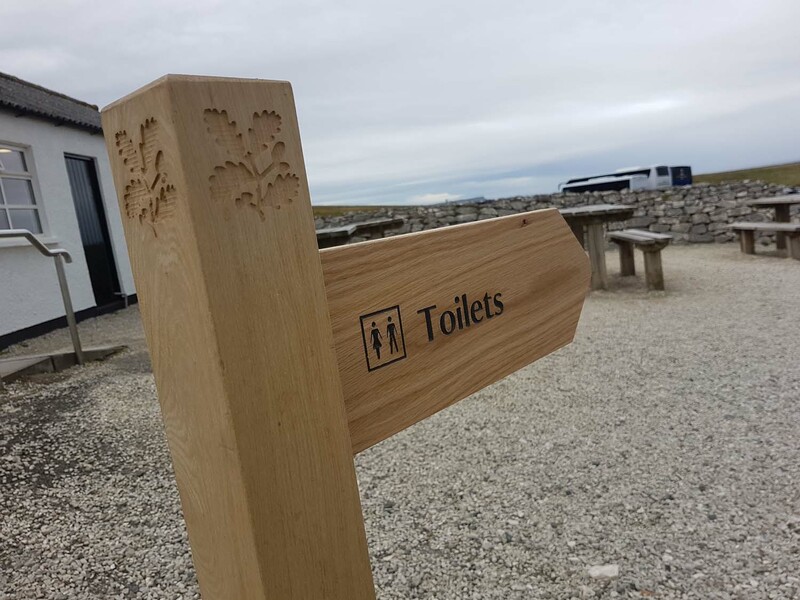 We were delighted to have been involved in the project and even more delighted to be entrusted with ongoing signage and sign maintenance at the busy site. 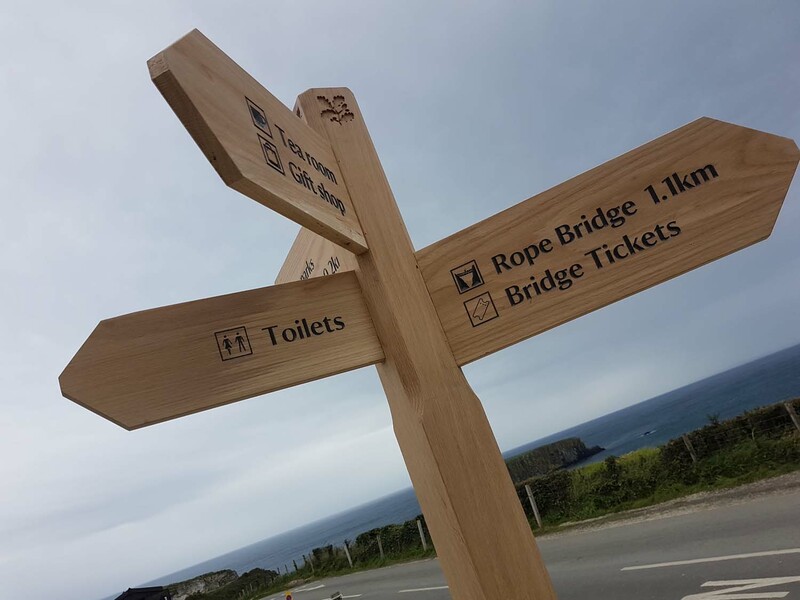 This week we were back on site to install four new fingerpost signs. 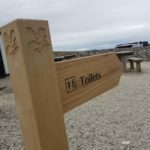 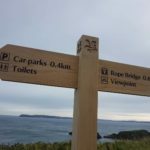 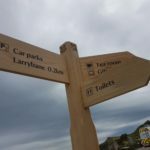 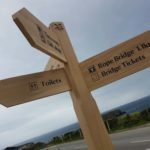 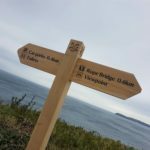 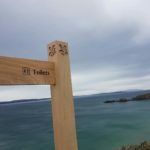 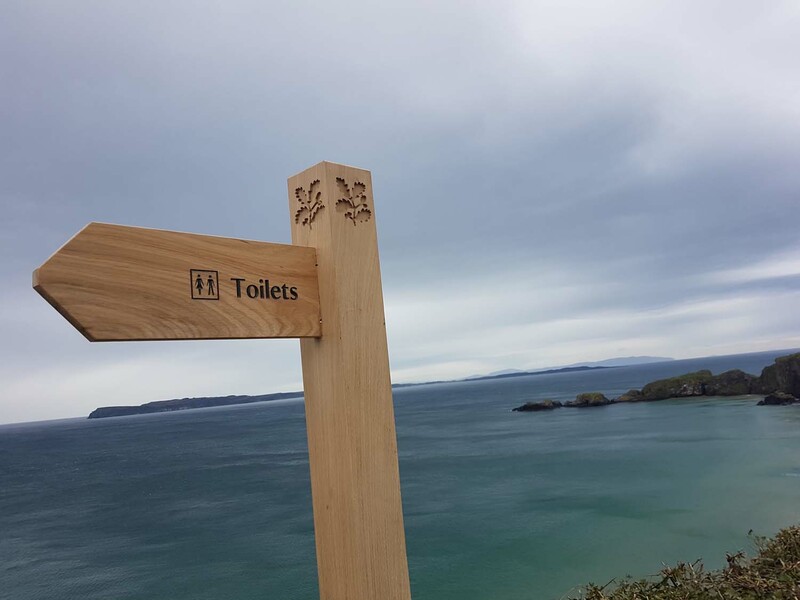 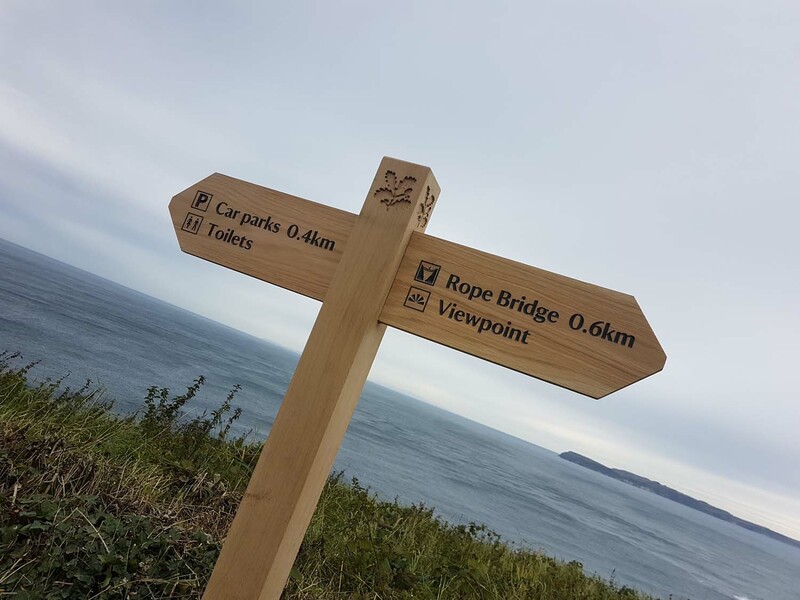 These signs are made from solid oak with carved lettering and compliment the outdoors feel of Carrick-A-Rede perfectly. 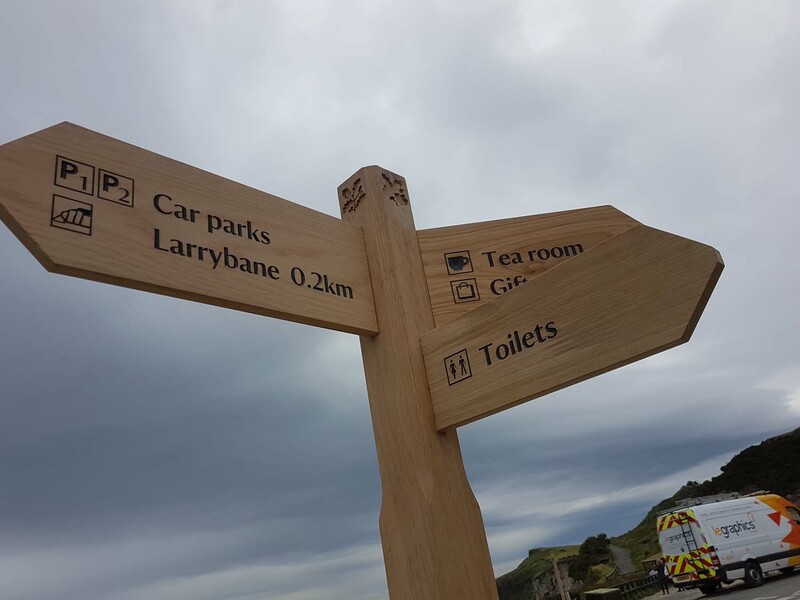 In just a few short months the oak will have weathered to a beautiful silver grey colour for a perfect seaside look. 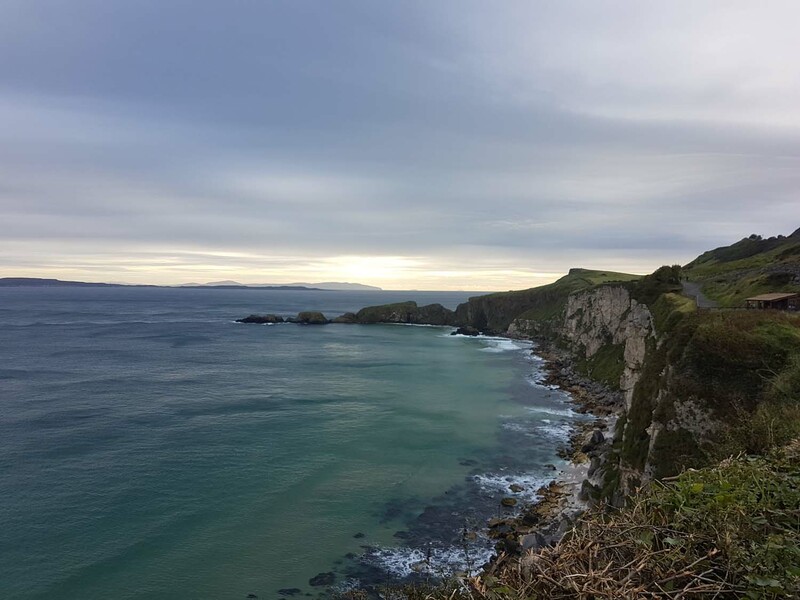 If you haven’t been to Carrick-A-Rede we would strongly recommend a visit – and don’t forget to visit Larrybane quarry on the same site – it was used as a filming location for the famous Game of Thrones series and is also home to some equally famous signs from LE Graphics!